Take a roll call of the Russian companies sanctioned in the wake of the Ukraine crisis, and there’s a key name conspicuously absent: Gazprom, the billion-dollar oil and gas colossus that’s woven a web of subsidiary companies spanning the European continent. Gazprom ranks as one of the largest extractors of natural gas and one of the biggest companies in the world – and it’s mostly owned by the Kremlin. Widely seen as an arm of the Russian government, it’s played a pivotal role over the past decade in the “near abroad” of former Soviet satellites, severing gas supplies to Ukraine over pricing disputes in 2006 and 2009. Last month, Russia again threatened supply disruptions over Ukraine’s alleged billions in unpaid bills. The gas embargoes pose an especially serious problem for Europe: The continent gets about 30 percent of its natural gas from Russia, much of it piped through Ukraine, and – with the exception of some liquefied natural gas – all of it is supplied exclusively by Gazprom, the U.S. Energy Information Administration says. That poses a problem when it comes to imposing sanctions. “The strong dependence on Russian oil and gas that our European allies have makes them understandably uncomfortable handicapping Russia’s ability to produce,” says Jason Bordoff, a former White House energy adviser and director of the Center on Global Energy Policy at Columbia University. While other Russian businesses and barons have been penalized – including Igor Sechin, the head of Rosneft, a petroleum company largely held by the Kremlin – Gazprom has escaped unscathed, almost certainly due to its role as a supplier of European gas. Its chief executive officer, Alexey Miller – who worked with Russian President Vladimir Putin in the St. Petersburg mayor’s office, as did Sechin – also has avoided penalties leveled by the U.S. and EU on other Putin confidantes. Both President Barack Obama and German Chancellor Angela Merkel, who discussed potential new sanctions against Russia in a joint appearance at the White House Friday, have pledged to take steps to ease the EU’s dependency on Moscow. Those steps could include speeding up the federal review process for new natural gas export terminals in the U.S. But there’s far more at play than energy. Even if Europe finds a way to get all its gas from the U.S. and other countries – such as Algeria, Nigeria and Mozambique – energy independence is far from a panacea. Gazprom’s name may combine the Russian words for “gas industry,” but its reach encompasses much more than gas and oil, spanning from a subsidiary it wholly owns in Amsterdam; to investment firms in Ireland, Austria and Vienna; to energy companies in Italy and Moldova; to media companies in Moscow. Former German Chancellor Gerhard Schroder, in fact, serves as chairman of the board for Nord Stream AG, a Gazprom subsidiary based in Switzerland tasked with building natural gas pipelines from Russia to Germany through the Baltic Sea. The list of subsidiaries on Gazprom’s website includes nearly 250 names, including at least one tied to a U.S. location: Gazprom Marketing & Trading Ltd. (GM&T), which has an office in Houston that opened in 2007. A woman who answered the phone at the Houston office – the location of GM&T USA Inc. – described it as the “daughter company” to a GM&T “parent company” based in London. She said the firm is the only Gazprom company located in the U.S., and referred further questions to the London office, which did not return calls and emails for comment. The GM&T website says the company started as the U.K. office of Gazprom and that GM&T USA began trading and marketing natural gas in North America in 2009, marking the first entry of a Gazprom Group company in the U.S.
Other Gazprom companies, though, may be harder to find. The 250-odd subsidiaries listed on the Gazprom corporation website are merely those the company acknowledges publicly. Many more are hidden from view, experts say. Gazprom itself did not respond to repeated inquiries. “They have a lot of companies in physical commodities – oil and gas – which are hard to trace, and they have a lot of companies in the financial markets, which is even harder to trace,” says Eugene Nivorozhkin, an assistant professor of economics at University College London. Hence, sanctions against Gazprom would not merely inhibit natural gas imports for Europe, they also – potentially overnight – could make it illegal for hundreds or thousands of European and American businesses to work with the energy companies’ dozens of subsidiaries. That, in turn, could bite economies on both sides of the Atlantic, but with so many Gazprom subsidiaries in so many countries, exactly how remains unclear. “Gazprom has a lot of presence in a lot of economies – how any sanctions will jeopardize a lot of relationships is hard to predict,” Nivorozhkin says. That makes sanctions unlikely – at least for now. “There’s not a credible way of introducing them,” Nivorozhkin says. But that doesn’t mean previous rounds of sanctions, combined with the threat of further penalties, haven’t created an air of uncertainty around Russia-related commerce. Billionaire Gennady Timchenko, for example, recently sold his stake in the company he co-founded – Swiss commodities trader the Gunvor Group – a day before being hit with U.S. sanctions. The company said the sale was orchestrated in anticipation of the penalties. Nivorozhkin agrees. “The market economy will take care of penalizing Russia for its actions [in the Ukraine], even without formal sanctions,” he says. Gazprom PJSC is seeking a make-or-break meeting with the European Union’s antitrust chief next month in attempt to settle a case against the Russian state-run company, which supplies about 30 percent of Europe’s natural gas. Gazprom Deputy Chief Executive Officer Alexander Medvedev plans to meet Margrethe Vestager in Brussels in December, the company’s spokesman Sergei Kupriyanov said by phone on Saturday without elaborating. The talks were set ahead of a Dec. 15 hearing on EU accusations of Gazprom’s unfair pricing and marketing policies in eastern Europe, Reuters reported Friday, citing unidentified people familiar with the issue. Russia, reliant on energy for almost half of its budget earnings, is struggling with its first recession in six years amid a commodities price slump and sanctions over the crisis in Ukraine. Its government has been trying to end its international isolation by forging analliance with the U.S. and EU to counter Islamic State in Syria. Gazprom proposed options for an antitrust settlement in September while refusing to admit any guilt, Medvedev said at the time. “We would very much like these issues not to be politicized,” he said. The offer kick-started discussions at a technical level in October and November between Gazprom and EU officials. 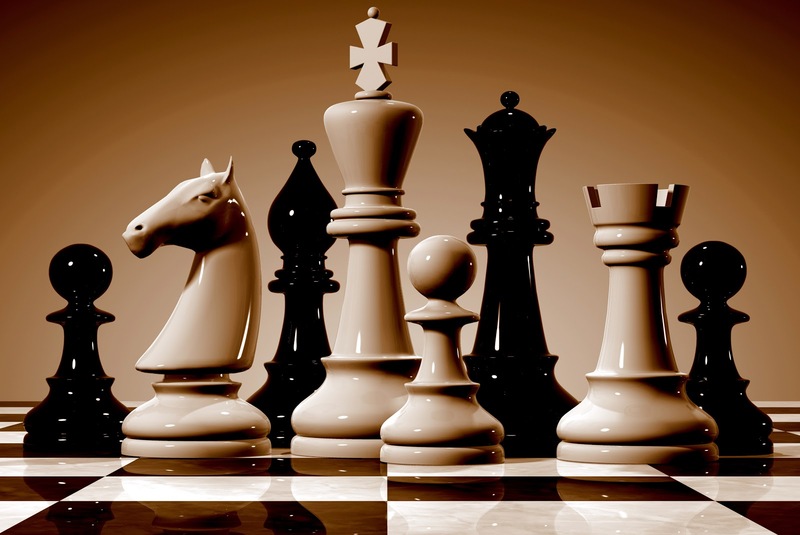 Companies can avert possible penalties by offering commitments that remove the bloc’s competition concerns. Vestager said earlier this month it was too soon to say whether Gazprom’s remedies would solve the issue. While weaker oil has sent Gazprom’s gas prices in Europe, mostly linked to crude, to the lowest level in more than a decade, that doesn’t change the EU’s case because one of the questions is the way gas is priced, according to the EU’s antitrust commissioner. BRUSSELS—OAO Gazprom on Monday said it has submitted proposals to the European Commission to settle accusations that the Russian energy giant hindered competition and charged unfair prices in several Eastern European countries. If accepted, a settlement could help the company avoid billion-dollar fines, but would likely require it to fundamentally change the way it has done business in its former backyard since the collapse of the Soviet Union. The commission in April filed formal charges against Gazprom, saying the state-controlled company broke European Union antitrust law in eight countries where it is the dominant gas supplier—Bulgaria, Czech Republic, Estonia, Hungary, Latvia, Lithuania, Poland and Slovakia. The commission, which acts as the European Union’s antitrust watchdog, said restrictive terms in Gazprom contracts forced territorial constraints on customers, for instance by prohibiting them from re-exporting gas to another country. It also objected to Gazprom’s practice of tying the price of gas to that of oil, saying that had led to higher gas prices in Bulgaria, Estonia, Latvia, Lithuania and Poland than those charged in other markets. 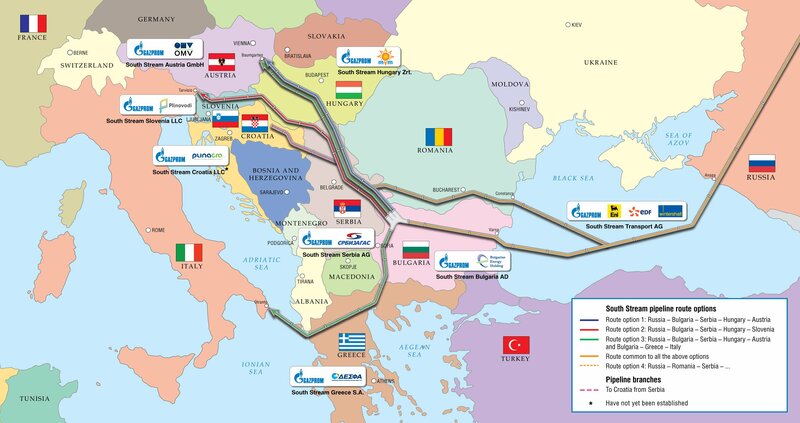 In addition, the commission said that in Bulgaria and Poland the company had also linked the supply of gas to government support for big pipeline projects such as the Yamal-Europe pipeline and the now-canceled South Stream project. Gazprom has consistently rejected the charges as politically motivated; a claim the commission has denied. In recent months in particular the company has pointed out that customers whose contracts are tied to the price of oil are now enjoying exceptionally cheap gas because of the collapse in global oil prices. 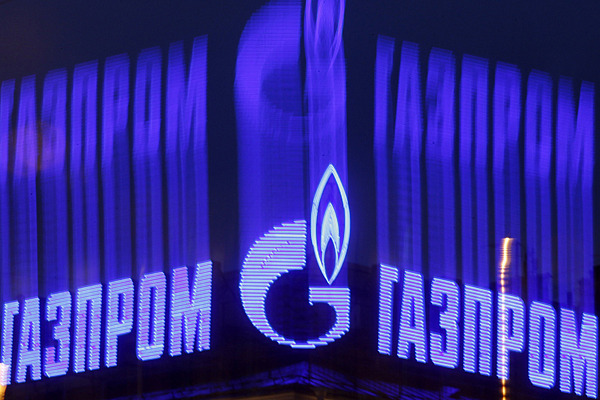 While Gazprom has denied any wrongdoing, its management has said it was open to a settlement. “We hope to discuss this proposal with the representatives of the commission in the near future in order to come to a settlement agreement,” it said Monday, without giving details on the content of its proposals. The commission confirmed that it received the proposal, but added it still expected a formal response from the company on its charges by Sept. 28 2015. Monday’s offer isn’t the first attempt by the two sides to resolve the case. Talks between Gazprom and the commission on settling the two aspects of the investigations that don’t include the oil-price link had advanced quite far by early 2014, people familiar with the probe have said. However, settlement negotiations collapsed in the spring of last year as the conflict between Russia and Ukraine escalated. A year later, the EU’s new Competition Commissioner Margrethe Vestager filed the charges. Analysts said on Monday that it was too early to say whether settlement talks would be successful this time around. Ms. Vestager “has shown a very strong determination to move some cases forward,” said Alec Burnside, an antitrust lawyer at Cadwalader, Wickersham & Taft LLP in Brussels who isn’t involved in the case. Within six months of taking office last November, the former Danish economy minister had jump-started several long-dormant cases, notably by filing charges against Gazprom and Google Inc. in a single week in April. She has also taken a tough approach to mergers that might harm consumers, pushing Scandinavian telecom operators Telenor ASA and TeliaSonera AB to abandon the merger of their Danish operations this month. The EU’s immediate response on Monday indicates that while the EU is willing to engage in settlement talks, regulators aren’t “taking their foot off the pedal,” Mr. Burnside said. 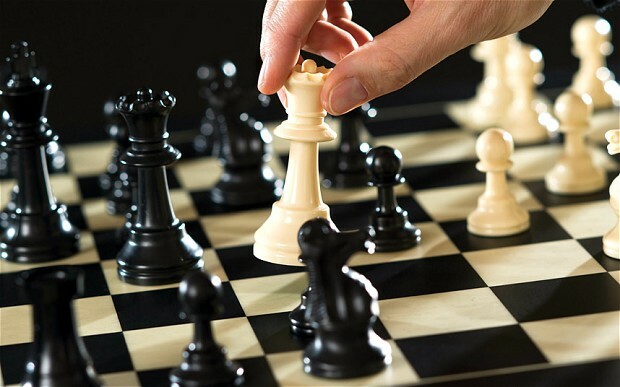 “This is a high-stakes game and it’s difficult to separate out antitrust from geopolitical elements, which are no doubt involved,” Mr. Burnside said. Brussels has confronted Gazprom over its stranglehold on gas supplies to eastern Europe, accusing the Russian government-controlled group of illegally overcharging its customers and muscling out rivals. The decision on Wednesday to serve formal antitrust charges against Russia’s gas export monopoly is a serious escalation of a four-year probe that has provoked the Kremlin’s ire and threatens to upend Gazprom’s business model. It also comes against the backdrop of the ongoing war in Ukraine, which has raised EU-Russia tensions to levels not seen since the cold war. Gazprom rejected the charges, saying the accusations were “unfounded” and insisting it adhered to “all the norms of international law and national legislation” where it does business. 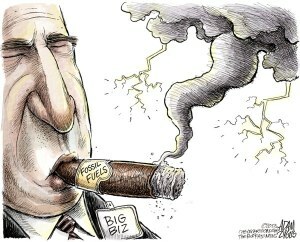 In a statement it said its pricing practices were the same as other gas suppliers to EU countries. 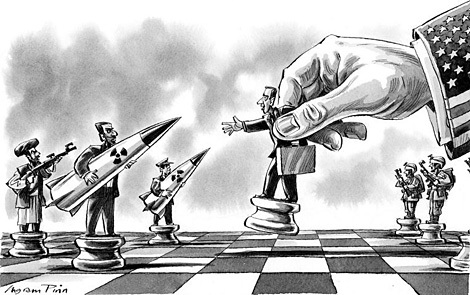 Significantly, Gazprom said it is considered a “strategic government-controlled business entity” within Russia, and reiterated the Kremlin’s position that a state-to-state solution should be found to the antitrust problem. Wednesday’s charges represent the opening salvo in the biggest antitrust case launched by the European Commission against a state-controlled company from outside the EU and come just a week after Margrethe Vestager, the EU’s competition commissioner, pulled the trigger on another highly contentious case, filing charges against US technology group Google. “All companies that operate in the European market — no matter if they are European or not — have to play by our EU rules,” Ms Vestager said in a statement announcing the charges. Investigators accuse Gazprom in their so-called “statement of objections” of abusing its dominant position in the upstream gas market in five eastern European countries by charging wholesalers “significantly higher” prices than its own costs or what can be bought on the open market. The charges also allege Gazprom is illegally preventing wholesalers in eight central and eastern European countries from selling on their gas to other countries. 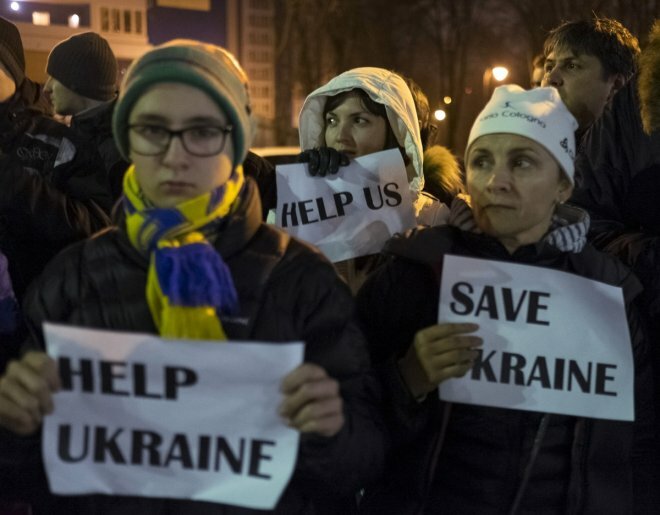 The EU has tried to assist Ukraine by using such “reverse flows” to provide Kiev with gas sold by Gazprom to neighbouring countries, such as Poland and Slovakia. The commission said it was continuing to investigate whether Gazprom has attempted to strong-arm the Bulgarian and Polish governments into maintaining control over gas pipelines in their countries. It said it had found evidence Gazprom threatened not to supply gas unless the two governments either invested alongside Gazprom-backed pipeline projects, or allowed it to reinforce control over existing pipelines. Under recently adopted EU law, energy companies cannot control both gas supplies and the distribution infrastructure. Russia’s energy ministry on Wednesday expressed “surprise and regret” over what it said were unjustified charges against a non-EU company. In a statement it described the charges as “an unfriendly act and an attempt to exert pressure on Russia in its energy policy.” It went on to describe the “political nature” of the case, linking it to the EU’s effort to put economic pressure on Russia over the Ukraine crisis. Although the charge sheet has been ready since last year, Brussels put the case on hold for fear it could antagonise an increasingly belligerent Moscow. Some senior EU officials have feared retaliation, such as a cut-off in gas supplies to Ukraine and Europe, that would do more damage than the antitrust problems the commission is trying to address. Ms Vestager points to her decision to serve charges against California-based Google as evidence that nationality or politics plays no part in her antitrust enforcement decisions. 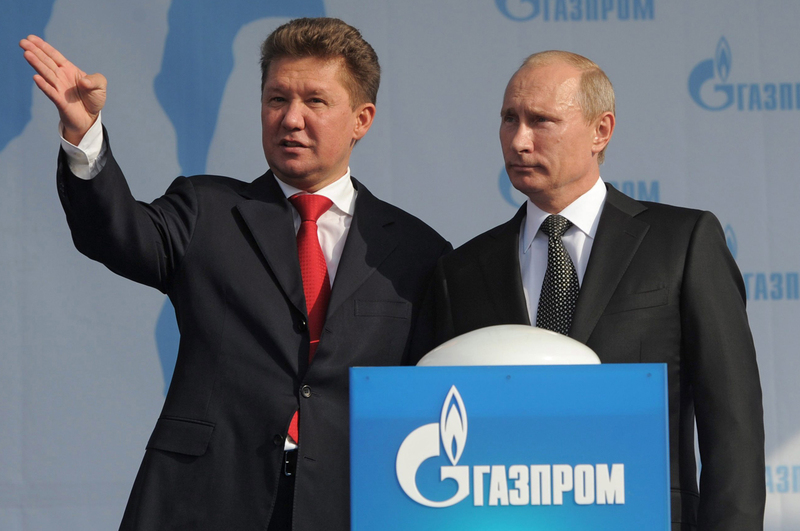 Since September 2011, when the EU launched its biggest antitrust raids against almost two dozen Gazprom partners and affiliates in eastern Europe, Moscow has refused to recognise the EU’s authority over Gazprom and wants the case settled at a state-to-state level. The commission, the EU’s top antitrust authority, outlines three main complaints in a charge-sheet running to hundreds of pages. Gazprom is accused of imposing contractual terms that stop the resale of gas and illegally carve up the market to its own advantage. A second strand of allegations claims the Russian group broke competition rules by using its clout to block rival sources of supply. Specifically this relates to Gazprom linking its own pipeline projects to supply deals and prices, making it more costly to diversify. Gazprom has been given 12 weeks to respond to the statement of objections and can call an oral hearing to make its defence. It would still be able to settle the charges through abiding by legally binding commitments that address the commission concerns about its conduct. Should the commission decide to issue an infringement decision, it has the power to fine Gazprom up to 10 per cent of its global turnover, a sum that in theory could exceed €10bn, although in practice the penalty would be much less. 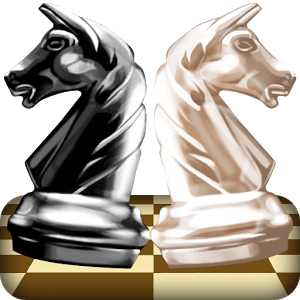 It can also impose far-reaching changes to Gazprom’s business model in Europe, is that checkmate? The Kremlin informs Russian President Vladimir Putin of any political statements made by his former opponent, ex-Yukos boss Mikhail Khodorkovsky, the president’s spokesman said, according to independent news agency Interfax. “When…statements are made and end up in the media, of course we track them,” Dmitry Peskov, the Kremlin spokesman said. The information is then included in the president’s daily news round-up. Khodorkovsky vocally opposed the ex-KGB man during the early days of Putin’s presidency and Russian authorities arrested him in 2003 for embezzlement in a case, widely regarded as politically motivated. He then served a decade in jail before Putin pardoned him in the lead-up to the 2014 Winter Olympics in Sochi. Khodorkovsky moved to Switzerland and has not returned to Russia since. Beginning in the summer of 2015, however, he started backing several opposition politicians and in July declared that “Putin’s era” is coming to an end, adding that the president would likely step down in 2019. Earlier in December, Russia asked Khodorkovsky to return for questioning, after it implicated him in a 13-year-old murder case. He refused and Russian authorities have since charged him with organizing two additional murders. Later, Khodorkovsky called a press conference to address the government’s accusations, saying the state had manufactured the charges to stifle his activism. President Vladimir Putin will survive Western sanctions and lower oil prices but the Kremlin chief has brought such stagnation that Russia could eventually collapse, former tycoon Mikhail Khodorkovsky said Thursday. Russia’s richest man, who was arrested in 2003 after falling foul of Putin and released in 2013, told Reuters that Putin could survive oil prices of $45 per barrel but that the longer he stayed in power the greater the risks for Russia. 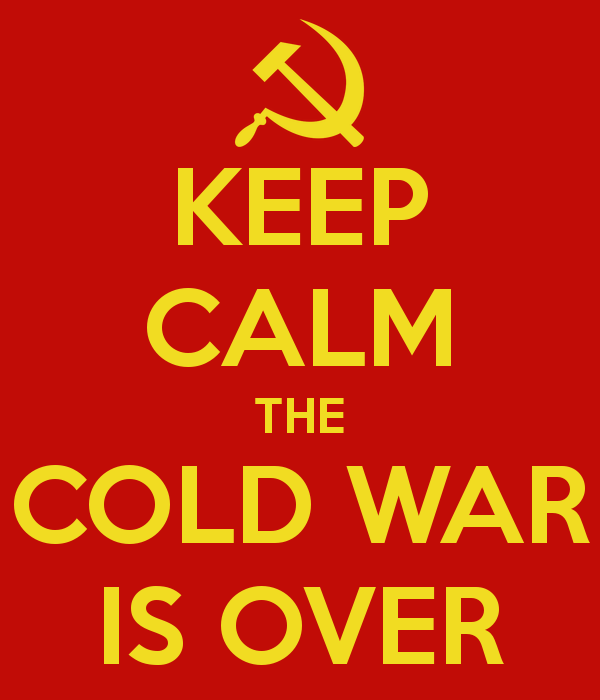 He said Putin, who became Kremlin chief on the last day of 1999, had shunted Russia back to the stagnation which sapped the power of the Soviet Union in the 1970s under Leonid Brezhnev. Khodorkovsky, who once controlled Russia’s biggest oil company, YUKOS, said he thought the West would ease sanctions on Russia eventually under pressure from business. “If you are asking whether Russia will survive in its current borders when Putin goes, then I would say the chances of it surviving if he goes in the next 5-8 years are bigger than if he goes in the next say 15 years,” Khodorkovsky said. “I am talking about the survival of Russia in its current borders,” he said. Khodorkovsky said Russia’s political and economic situation was not tense enough for a revolution in the short term as living standards have not fallen steeply enough to anger the population. 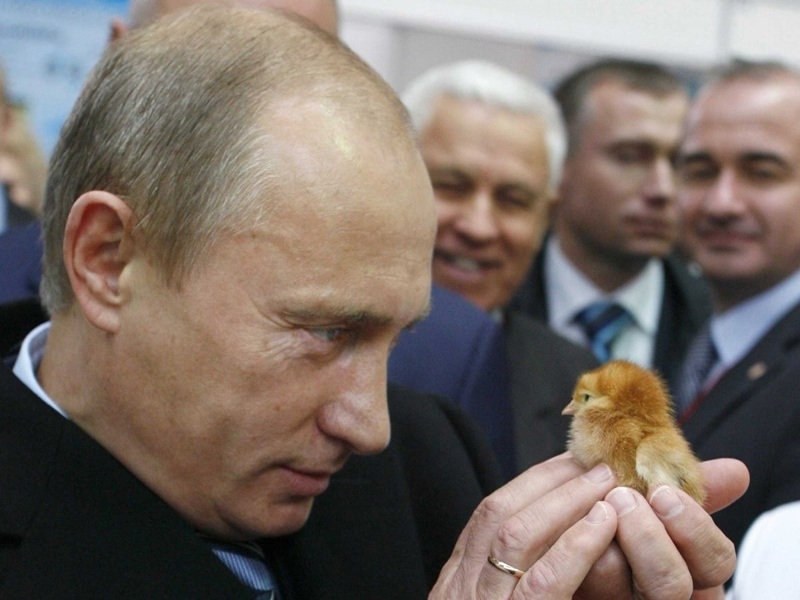 “Putin has a good chance of remaining in power for a long period of time,” he said. Mikhail Khodorkovsky, the exiled former oil tycoon turned political opposition figure, gave a press conference Wednesday, prompted by another round of criminal charges brought against him in Russia. His speech was published on the website of the Open Russia pro-democracy organization he founded. “Ladies and gentlemen, dear friends! I’m grateful to the Russian authorities and their associates from the Investigative Committee for a reason to meet with you … Yesterday I was informed I will be charged on Dec. 11 in connection with the case of [Vladimir] Petukhov, who was killed in 1998,” Khodorkovsky said in his opening statement. 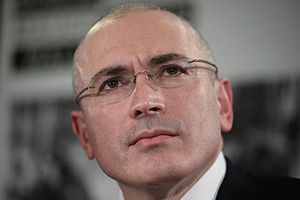 “They don’t want to pay $50 billion [to former Yukos shareholders in accordance with The Hague court ruling], that’s why they’re using all possible leverage,” Khodorkovsky said. He added that the ruling elite wasn’t pleased with Open Russia’s allegations that Alexander Bastrykin, head of the Investigative Committee, was connected to a Russian criminal organization. “We are dealing with a unconstitutional overthrow,” Khodorkovsky said. “While there is no such thing as fair elections and any other mechanisms of legitimate change of power, the only way to change it is revolution. 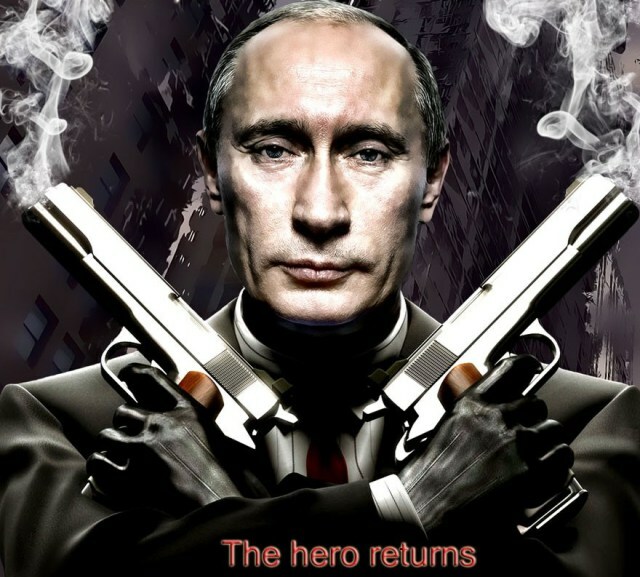 Revolution in Russia is inevitable,” he added. 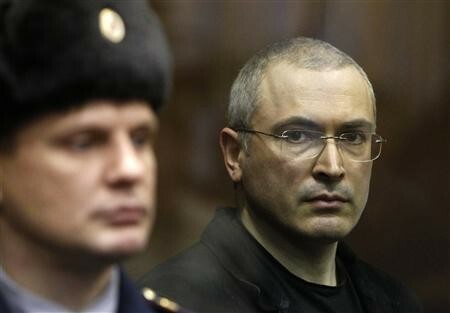 Khodorkovsky, the former chief of the Yukos oil company, spent a more than a decade behind bars in what was widely seen as politically motivated case. He was pardoned by Russia’s President Vladimir Putin in December 2013, several months before his sentence was to run out, escorted by guards to St. Petersburg, and put on a flight to Berlin.